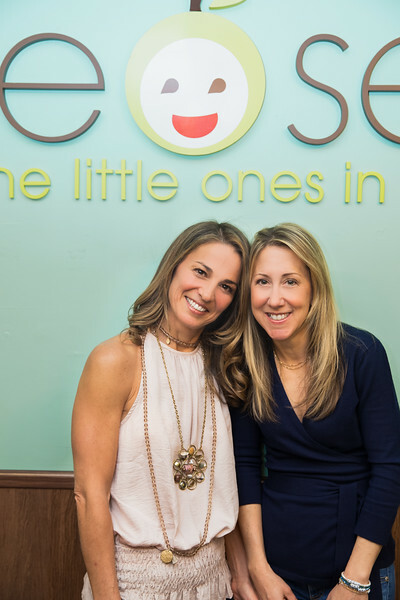 There are many women who change careers once they have children— either by necessity (like me) or by choice, like Alison Berna and Allison Schlanger, two new friends I made recently who started the apple seeds playspace in NYC. Just to give you a bit of background— I was introduced to the Al(l)isons shortly after my book came out. We have a mutual friend who gave them a copy and they loved it so much, they decided to order a whole bunch to give as gifts to their most loyal customers. Then we ended up using their party space for Harlow’s birthday party. As I got to know them, I realized we have a lot in common and wanted to help them spread the word about their new franchise opportunity, which they say works best for moms who find themselves in the exact same spot as they did back when they first became parents.